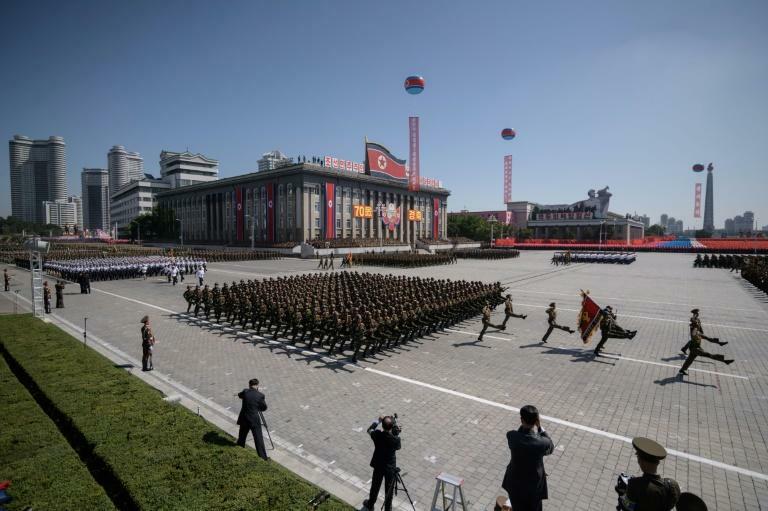 North Korea refrained from displaying its intercontinental missiles in a massive military parade through Pyongyang celebrating its 70th birthday Sunday -- a conspicuous absence touted by US President Donald Trump as "a big and very positive statement". 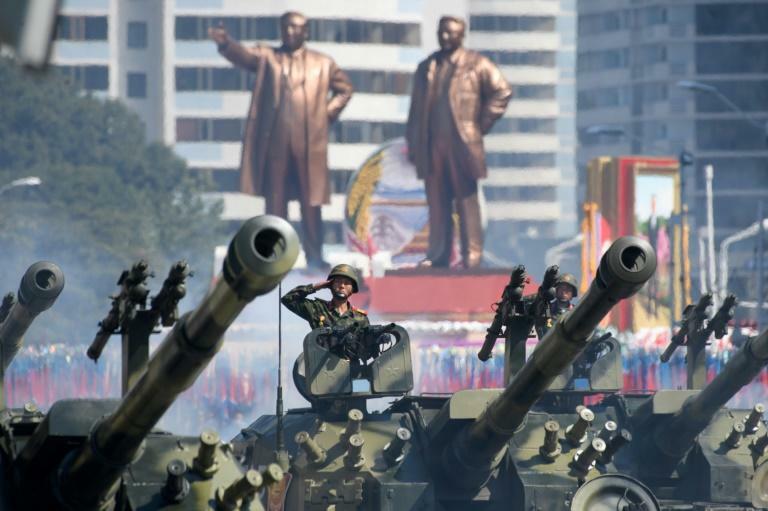 Thousands of North Korean troops marched through Pyongyang, followed by artillery and tanks but not the long-range missiles that have been a bone of contention in its nuclear tensions with Washington. "This is a big and positive statement from North Korea. Thank you To Chairman Kim. We will both prove everyone wrong!" Trump tweeted, referring to North Korean leader Kim Jong Un. 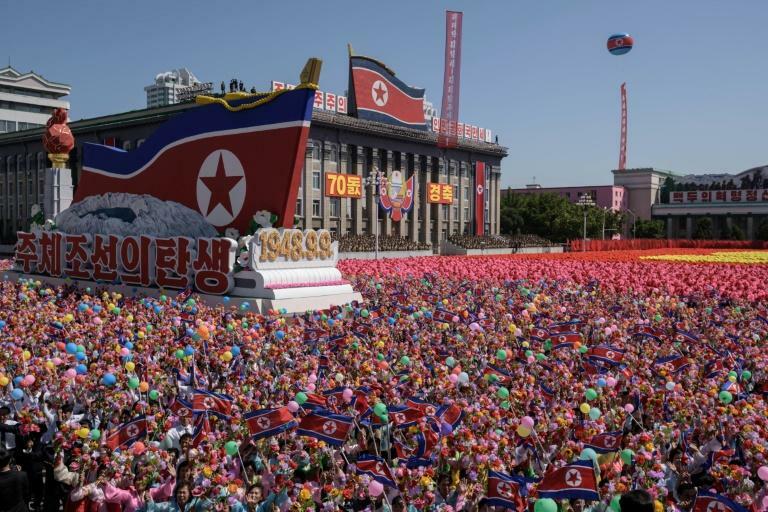 Kim also used the parade to show off his friendship with China, raising the hand of President Xi Jinping's envoy as they saluted the crowd together afterwards. Diplomatic invitations for the anniversary went out around the world, but the only head of state who attended was Mauritanian president Mohamed Ould Abdel Aziz -- although AFP spotted French actor Gerard Depardieu seated in a section below the main gallery. Afterwards Kim and Li saluted the cheering crowd, the North Korean raising his guest's hand into the air.